Has Intuit finally admitted that QuickBooks isn’t easy to use? There was a QuickBooks commercial from 1997 that said, “If you can write a check, you can use QuickBooks.” Intuit has always marketed QuickBooks as an easy to use solution for the bookkeeping needs of small businesses. To my knowledge, actual bookkeepers and accountants were never depicted in these marketing efforts, implying that such people were unnecessary. When QuickBooks started gaining significant ground in the market in the late 1990s and early 2000s, I remember predictions about how improvements to such technology would cause the collapse of bookkeeping and accounting services. There was no collapse in bookkeeping services. The collapse didn’t happen, and in fact, the bookkeeping service community actually thrived in my opinion. So why didn’t the collapse happen? I would argue that it was because the software is not easy for non-bookkeepers to use. My observation is that small business owners purchase it, figure out that it is not easy to use, call people like me to clean up the mess, then hire me to do the bookkeeping going forward. Thus, I believe the advent of QuickBooks was actually a net positive for the bookkeeping service community. What will the freelance bookkeeping community do now? 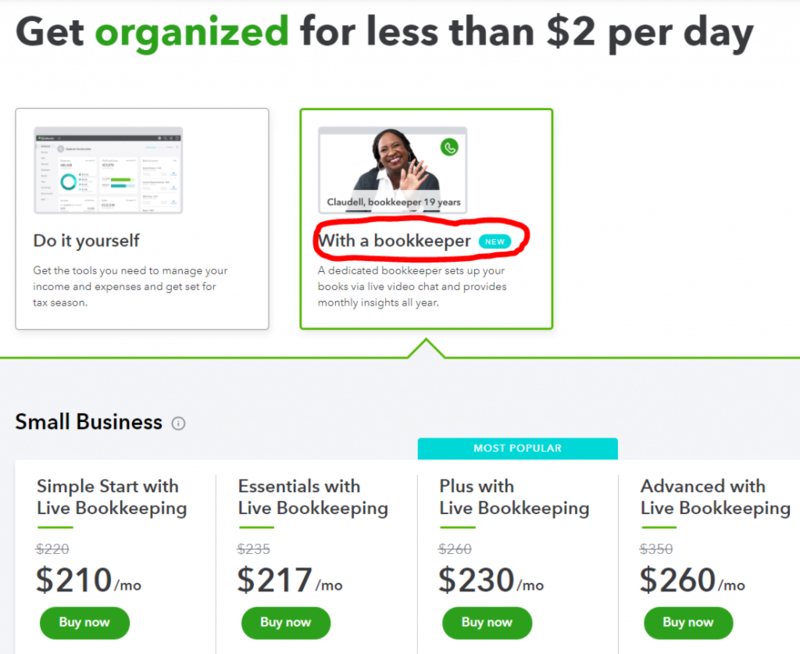 My initial intuition is that Intuit’s move into the bookkeeping service market has decreased the value for freelance bookkeepers to support QuickBooks. As I have pondered this development over the past 24 hours, I would also say that freelance bookkeepers now have a greater incentive to support alternative offerings such as Xero, Zoho Books, Sage50Books, and other offerings. “If you can write a check, you can use QuickBooks,” has become, “If you can write a check, you can purchase Intuit’s bookkeeping services!” LOL Oh dear. I can’t believe I said that! But it appears to be true. If you find yourself asking, “Is QuickBooks hard to use?” you might like my books about QuickBooks.